Women’s tennis finished 2018 with a 13-13 overall record, posting highlights like the program’s first-ever win over Notre Dame and a victory over No. 36 Virginia. Head coach Mark Beckham returns for his 12th season at the helm with a roster of returners, newcomers and transfers. Senior Sena Suswam and redshirt senior Aleksandra Mally lead the Cardinals as battle-hardened veterans. Both student athletes have dealt with injuries in the past, but return for their final collegiate runs prepared for success. As a fifth-year senior, Mally brings maturity with a high level of talent. The New Yorker posted six singles wins and seven doubles wins in fall play leading up to the spring season. Suswam owns a similar caliber of skill with a history of leadership. As a sophomore, she played singles at the No. 1 position and doubles at No. 2. 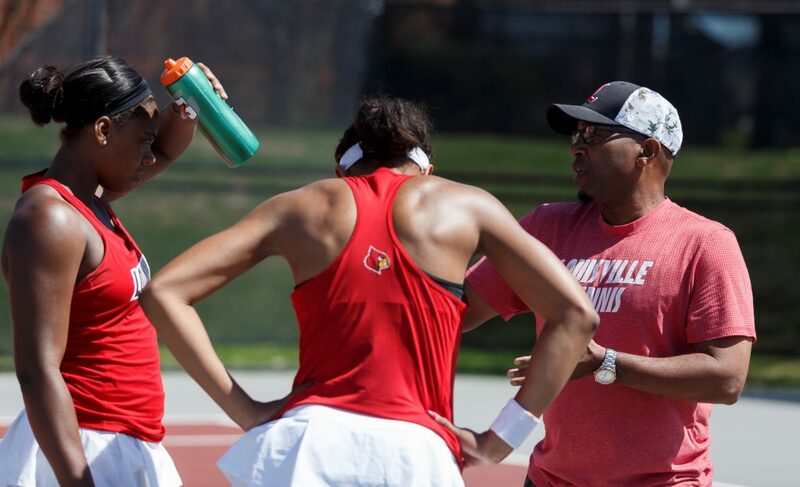 In her last season playing for Louisville, Suswam gets back on the court after overcoming shin splints. Juniors Raven Neely, Anna Collins and sophomore Maya Smith are the other returners for U of L. They form an important foundation to the team, placed between seniors and newcomers with a history of playing in the most challenging conference in the nation. “I have upperclassmen that have experienced the ACC, they know nothing but the ACC, so we have a good mix,” Beckham said. Junior Diana Wong and sophomore Nikolina Jovic are Beckham’s two transfers. The pair, along with freshmen Dina Chaika and Chloe Hamlin, will soon get their first shot at playing in the ACC. The Cards won their home-opening match against Bowling Green this past Sunday. They host Ball State and NKU on Friday, Jan. 25 at the Bass-Rudd Tennis Center.